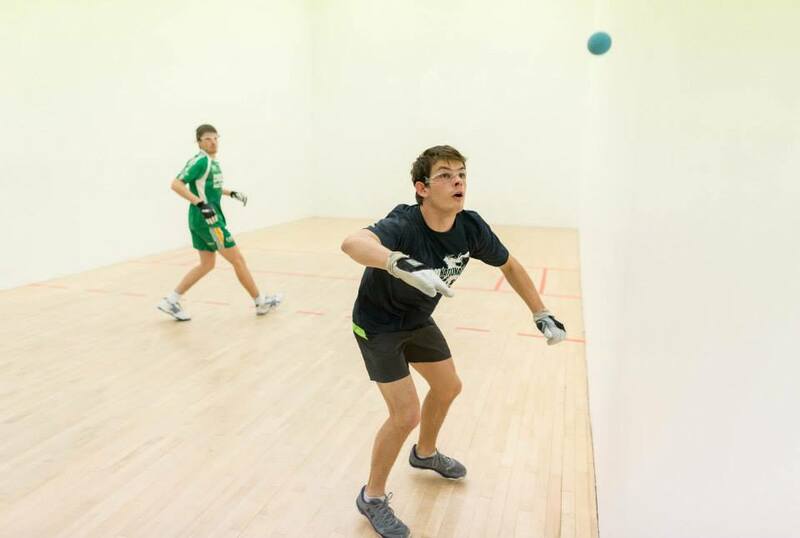 There is a new handball superstar in town – and his name is Killian Carroll. The 21-year-old from Mallow, Co Cork has picked up titles in Boston, Montreal and at home in 2014 but landed the biggest victory of his career today in Kilkenny when he took the Irish Nationals Men’s Open Singles title in style against former Clare underage hurler Diarmaid Nash. Carroll, who had knocked out number one seed Robbie McCarthy in a nailbiting 11-10 tiebreaker in the semi-final, just about edged the opener against lefty Nash, before racing into a 9-0 lead in game two and sealing the deal in what was a mesmerising final. Carroll’s amazing reflexes and retrievals had the capacity crowd at the O’Loughlin’s club on their feet but Nash, too, deserves huge credit for his performance. The Banner man will be happy with his weekend’s work, having seen off Niall O’Connor (Kildare), Owen McKenna (Antrim) and Brian Carroll (Meath). However, Carroll, who earlier won the Golden Gloves in Belfast, has proven himself to be the form player on the domestic front and the victory will provide a huge confidence boost ahead of the All-Ireland Senior Singles campaign in the new year. Much of the talk in the build-up to this weekend’s event was whether one of the trio leading the younger brigade – Nash, Carroll and Martin Mulkerrins – could win, or whether a seasoned campaigner such as McCarthy, Charly Shanks, Brian Carroll or Eoin Kennedy would take the honors. With Carroll – the youngest of the lot – having taken the honours, and beaten three of his biggest rivals in the process, he now leads the charge as the pretenders to the throne begin to sort themselves out in what promises to be one of the most exciting seasons in modern senior handball history. Meanwhile, Cork’s Catriona Casey made it a Rebel clean sweep when she confirmed her recent superiority over Antrim’s world champion Aisling Reilly with a 21-5, 21-10 final win. The powerful Reilly defeated Casey in the All-Ireland Senior Singles final earlier this year but the Ballydesmond girl has since turned the tables, defeating her rival in the US Nationals, US Open and now Irish Nationals deciders. There was more joy for Cork when Michael Hedigan defeated Galen Riordan in a tiebreaker in the B Singles final. Jack O’Shea of Kerry beat Cork’s Daniel Relihan (18), 19, 5 in the C final, with Tyrone’s Gabhain McCrystal seeing off Jerome Willoughby of Wicklow (20), 7, 7 in the A final.